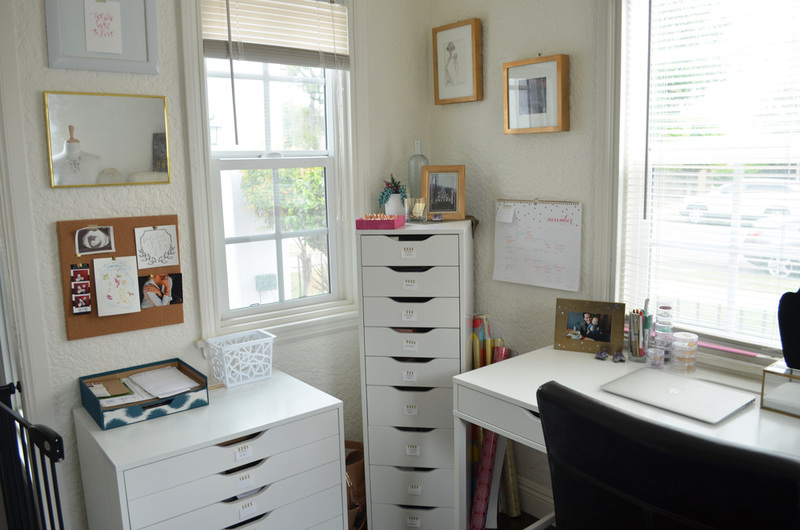 Jen Bedrossian runs her jewelry business from her studio in her Long Beach home. With a son and another little one on the way, Bedrossian adds more to her plate by joining the fight against human trafficking. “A desire for a creative outlet and a desire to make a difference. These two desires merged, and UNCVRD was born,” as stated on the UNCVRD site. She started UNCVRD (pronounced as uncovered) jewelry nearly a year ago, after realizing her previous job at a museum in downtown Los Angeles was lacking creativity. She obtained a bachelor’s degree in classics at Cal State University, Long Beach, and worked on an archeological dig in Italy prior to her job at the museum. Working in Los Angeles was also too far from home and the commute was not easy, especially with a 7-month-old son at the time. 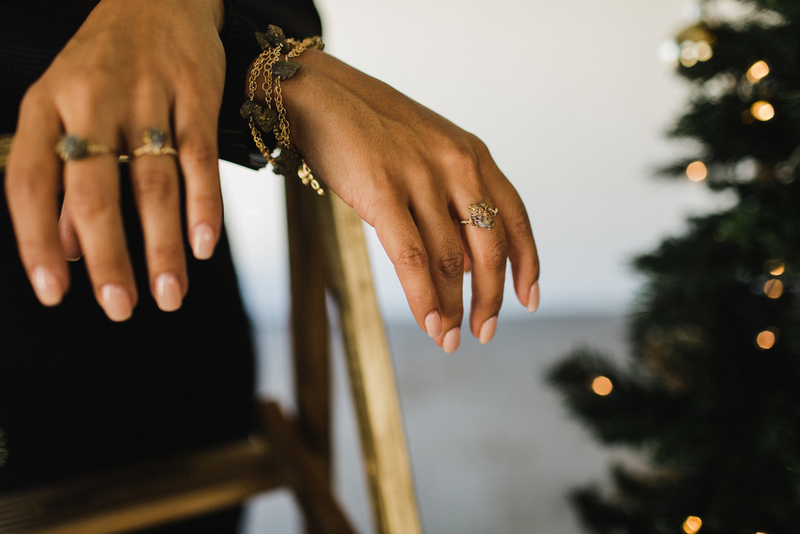 “In the early stages, I thought making jewelry would be a hobby or a side job, but I kept finding myself in locations where people were talking about trafficking,” Bedrossian said. One day she found herself in a church in Los Angeles, where Christine Caine, founder of A21, an anti-trafficking organization, was speaking about her new book which consisted of her work in trafficking. It was the first time Bedrossian heard about trafficking occurring here and she did not realize it was so prevalent in the United States. She purchased her book and began to read it later that night. “As soon as I read it, I knew I needed to do something. Once you know, you have to,” she said. 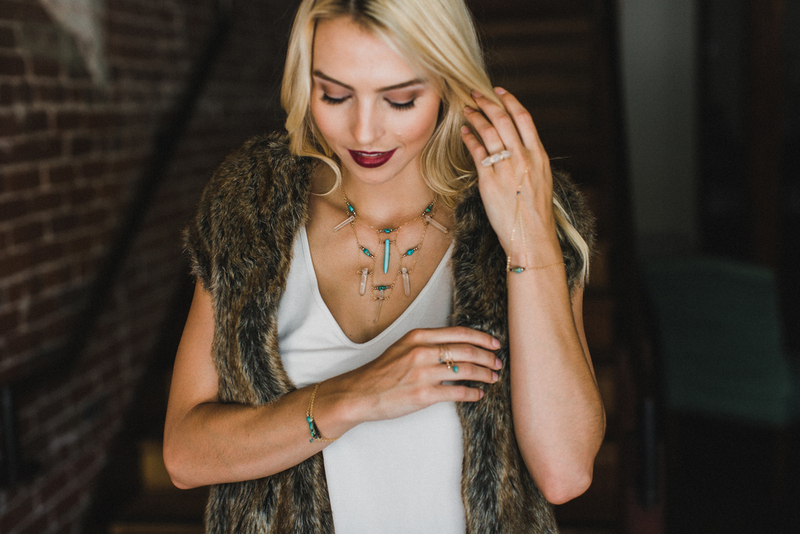 With the idea of her jewelry business and her call for combatting human trafficking, she met with Mary White, founder of Gems Uncovered. Gems Uncovered is a member of the Long Beach Human Trafficking Force. Bedrossian brought the idea to her and how she can donate part of her sales. White was completely supportive and Gems Uncovered partnered with UNCVRD. The name UNCVRD derived from Gems Uncovered. Bedrossian wanted there to be an association, but did not want to copy the organization so she went without the vowels. Forty percent of all sales go to Gems Uncovered, and for many that is great amount of money, but for Bedrossian it is important for her to donate a significant amount in order to make any kind of impact. "I didn’t start this to make money. I started it because I want to make a difference." At first most of her sales came from family and friends, but because she released it last year around the holidays, people gave it as gifts. It’s a cycle that grew organically, those people heard about it and bought jewelry. Social media has also been a big tool in her success. Bedrossian has launched three collections since then. The first collection is called Beacon which consisted of just six necklaces and each piece was named light in the different languages for the top ten countries known for trafficking. The second is Inscribed which used different raw turquoise. 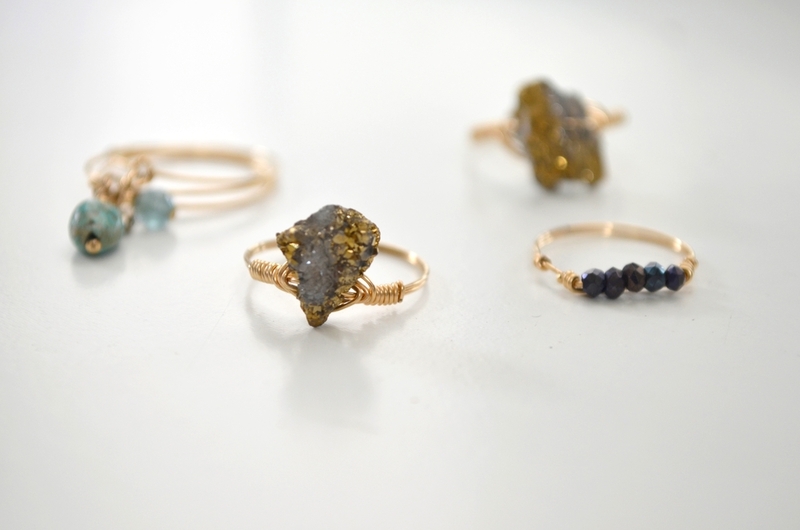 Her last and most recent collection is Illuminate that consists of gold sparkly geode pieces which launched on Nov. 16. Her family has been supportive of her, and is not afraid of asking for help when she needs it. In her earlier stages of pregnancy, she had much more energy and would do most of her work while her son, Julius napped. Now with the arrival of her son around the corner, she wants to nap when he does, but sacrifices her naps and works on jewelry orders instead. Bedrossian’s husband is one of her biggest inspirations for doing what she does. He runs an organization called Covenant House California, a youth shelter where many of the kids they received have been trafficked. Before joining the fight for trafficking, she has always been involved in work to better issues. Ranging from missional trips in Panama for a kids surf camp, to hurricane Katrina relief, to an annual prom dress event, she has always been the kind of person who wants to help whatever the cause is.